The Quran says that a true Muslim should never kill another Muslim. Since Muslims comprise the bulk of terror attack victims, the terrorists must not be Muslim. When it comes to Islamic terror, apologists prefer semantics to real action. The terrorists can't be Muslims themselves, we are told, because Muslims often die in their attacks. The fault in the argument is the premise that a true Muslim would never kill another Muslim. This is easily refuted by the fact that Islamic Law mandates the death penalty for crimes such as adultery and blasphemy. Since apologists assure us that Sharia applies only to Muslims, this proves that there are circumstances in which a Muslim not only can, but should, be killed. This opens a whole range of possibilities. Today's Islamic militancy has its roots in the early history of Islam, among those who knew their prophet best. No one would dare argue that Abu Bakr, the first caliph, was not a true Muslim, for example... nor Ali, the first convert and fourth caliph... nor Aisha - Muhammad's favorite wife. These are revered figures in Islam who personally authenticated verses of the Quran and many stories from Muhammad's life. Yet, they all killed Muslims. Ali and Aisha even sent armies against each other a few years after Muhammad died, resulting in the deaths of 10,000 Muslims, including 600 personally ordered put to death at the grand mosque in Basra by the "Mother of the Believers." Strive hard against the disbelievers and the hypocrites, and be harsh against them, their abode is Hell. The Arabic for “strive hard” uses the same root as Jihad - and the context in this sura is holy war (see v. 86 and 91). Thus, there are two distinct classes of people that a true Muslim is to target with “harshness”: disbelievers and hypocrites. A “disbeliever” obviously refers to a non-Muslim, so a "hypocrite" must be a Muslim of some sort. In fact, hypocrites are those who say they believe, but do not act as they should. In other words, they are "Muslims", but not true Muslims. They will go to hell just as unbelievers do, and so, according to the verse, their lives matter for naught. The same sura says that a hypocrite can be recognized not just by lack of piety (reluctance to follow Sharia), but by fear of death (9:56), reluctance to fight (9:44-45) and even friendliness toward non-believers (5:80-81). A true Muslim would thus be a pious person who relishes martyrdom, is eager to fight, and shuns non-believers. Even the Quranic passage that warns against killing "believers" (4:88-94) is more complicated than it first appears. It never says that a true Muslim is incapable of killing another Muslim, just that it should not be done. In fact, it makes exceptions for the unintentional killing of "believers" in war and mandates the killing of "hypocrites." Verse 17:33 says, "Do not kill anyone which Allah has forbidden, except for a just cause". The greatest cause of all is that Islam be superior (9:33), which is exactly what Islamic terrorists say is their goal. Thus, believing Muslims are allowed to be collateral damage in the war on unbelievers. Muslim antagonists faced each other quite frequently in the early days of Islam (and since), with each declaring the other to be takfir or apostate. Several bloody wars were fought by Muhammad's Companions against Muslim tribes who wanted out and even between the Companions themselves. This is how the Sunni-Shia schism began. It exists to this day and accounts for the majority of violence in the Islamic world, either directly or indirectly. If Muhammad's own friends and family killed fellow Muslims – not to mention each other – then what basis is there for stating that a true Muslim could never do the same? None, of course. 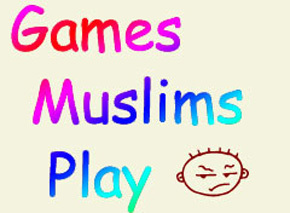 It is just a word game that apologists play to fool others into thinking that Islam has nothing to do with Islamic terror. In fact, Muhammad told believers that they would receive a heavenly reward for killing Muslims who say they believe but do not put their religion into practice (Sahih Bukhari 66:82). Verse 5:44 of the Quran says that "Whoever does not judge by what Allah has revealed - then it is those who are the disbelievers." This means that anything less than a theocracy is not a government run by true Muslims - nor one that a true Muslim would support. (See also 58:22, a true believer would never even befriend those who stand in the way of theocracy). Thus, the mindset of the terrorist is perfectly compatible with the Quran. Such persons sincerely believe that they are fighting for the advancement and rule of Islam - an Islamic state governed by Sharia. Their active opponents - Muslim or otherwise - are therefore "disbelievers" and obstacles to that which Allah has ordained. They are thus categorized as hypocrites along with any others who will not join or assist the cause. The Quran says to deal harshly with these people - and so the Islamists do. [Additional Note: Apologists often play a double game that exposes the insincerity of their argument. On the one hand, they pretend that Islamic terrorists aren't Muslim because they kill Muslims. If this were the case, then these apologists would be leading proponents of the war on terror (one could hardly think of a cause more worthy to Muslims than trying to kill those who intentionally kill innocent Muslims). "Implementing the laws of the land before the laws of Allah" - The last statement of a Paris terrorist to moderate Muslims.